Functionality and ease of handling are among the most important aspects of product development. 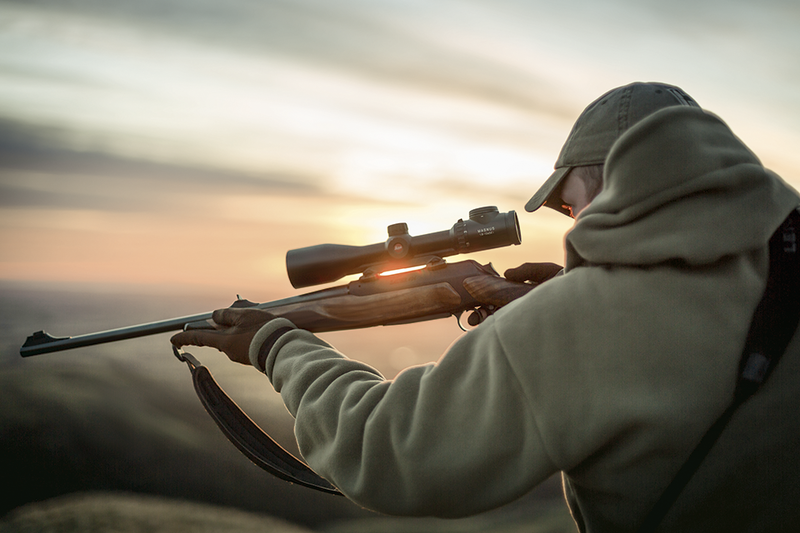 This is where Leica combines years of experience with technological innovation, with the result that the Leica Magnus i riflescope series allows safe hunting even in unfavourable light conditions. This is ensured by the exceptionally precise adjustment mechanism that regulates the illuminated dot. The sensitive brightness control features a day/night setting and is adjustable in 60 micro steps. With the press and hold function, you can run through the whole range and store your last brightness setting. On top of that, the reticle’s intelligent auto on/off function prolongs battery life considerably, by switching off the illumination when not required, for instance when in an unsuitable shooting position. The challenge of developing the perfect illuminated dot lies in finding the balance between “as small as possible” and “sensibly large”. Leica has found the solution with a very small illuminated dot that is so fine that it covers the target only minimally, but is at the same clearly visible because of its crispness. For the reticles, Leica relies on a technology known as “phase gratings”, where nano structures are etched into the glass, shaping the light with high efficiency. That’s how you keep the critical overview and always identify every important detail – for a successful hunt.